Reforming the economics of food production and supply would be beneficial for a number of environmental and social problems, argues Peter Baker. A key issue, he says, is understanding the energy involved in putting food on your plate. What's this got to do with small farmers and global food chains? The answer is that all the issues mentioned above intersect over small farmers. If we can't quite get a grip on what is happening to the world, we won't be able to do a good job for them, and we'll waste a lot of resources in the process. It's perfectly reasonable to want to assist farmers to build a better life by adding value. It's also perfectly reasonable to expect their produce to be fresh and non-toxic. And it's only natural to want to facilitate this process through aid, technical assistance, capacity building and the like. But the road to hell is paved with good intentions. I had originally planned to call this article Supermarkets, Smallholders and the Second Law of Thermodynamics. The Second Law is about order; the Universe is inexorably heading to increased randomness and disorder. For practical purposes, this does not have to be a problem because we can increase order locally by hard work, by expending energy. But in the process we create greater disorder (heat and waste) elsewhere. If there is plenty of energy and plenty of "elsewhere", then we don't have to worry. Indeed, for our whole existence, we largely haven't worried; in fact the whole world order, built on trade and economics, hasn't worried. Biological systems know all about thermodynamics. All living things are highly ordered assemblies of molecules continuously battling against disorder. Commodity chains must also obey the Second Law; in a sense, they are living things, creating highly ordered products and emitting significant waste and heat in the process. For example, a recent study looking at Nicaraguan coffee production and processing showed that the total energy embodied in coffee exported to several countries - though not all - was not compensated by the dollar price paid for that energy. Essentially, the conclusion was that the country is exporting subsidised energy. It could well be that coffee is still the best way for farmers to earn a living and that the available energy could not readily be put to a better purpose. But it should at least make a country's decision-makers wonder about the long term policy, the true value of exported products and how sustainable a country's commodity chains will be in an energetically expensive future. Look too at a modern high value vegetable chain. The orderliness required to plant, grow, harvest, process, pack, store, monitor, administer, transport, display and sell the produce in a supermarket is simply staggering, and the expended energy intense. As an example, tomato production in the US consumes four times as many calories as the calorific value of the tomatoes created. The point of this article may now be apparent. We are intervening, politically and normatively, in very complex systems that we only partially understand. This is not a tirade about supermarkets; no one is forcing farmers into these chains. Indeed, the retail sector has only done its job: ordering and quantifying according to its own criteria, to a state of near optimal efficiency. It's just that the rest of us have not been able to match its brilliance. And it's not about food miles. The argument about the cost to the environment versus the gains to poor rural farmers has its pros and cons. Instead, it's about different sorts of sustainability and the clash of very different interests. The economic argument, revealed through agribusiness plans, may well be very strong. But these are inevitably rather short-term positions, and the funds invested may be hedged for exchange rate changes, freight costs and other risks. When these are just stand-alone business operations then we could leave it at that - they invest their money and take their chances. But it's no longer a matter of a few agribusiness operations in a few developing countries. With the EU's Economic Partnership Agreements now being signed, for instance, countries in the Africa, Caribbean and Pacific (ACP) group are on course to completely open their borders to food trade, and will be encouraged to export whatever products they can to the EU. Foreign investment will descend on certain countries and will look for good deals on infrastructure. Politicians there may feel obliged to provide subsidised water, road and other infrastructure to secure new export initiatives, and they in turn will look for donor support to carry them through. Trade departments of development banks and other donors will examine the short-to-medium-term economic argument, but may not adequately determine whether this is sustainable into the long term. Hence, before significant public funds are assigned to this end, we must do our utmost to ensure they are well spent. Getting back to the Second Law; agribusiness operations in under-developed countries are highly ordered physical and information entities producing products with high embodied energy. They exist in a landscape of increasing disorder caused by growing populations and a degrading environment. Could locally-produced cassava flour substitute for wheat flour imports? Trucks carrying away the produce along bumpy rural roads sometimes pass food aid trucks coming in the opposite direction. For example, some $45m (£22.5m) of food aid came from the US to Kenya last year. Even before its sea voyage, the calorific value of US wheat is only twice the amount of calories expended to produce it. Compare this with cassava production in Tanzania where 23 times the calorific value is gained for each calorie of human energy input. Is it energetically sound, socially advisable and economically sensible in the long term to encourage and sustain such long two-way supply chains that evolved in a low-cost energy era? CARE International has recently declined the food aid it gets for Kenya, suggesting that it is distorting local agriculture. Are they right? How can they and donors make the right decisions? Could it be more sustainable and cost effective for donors to pay farmers a "fair" price to develop food production for local markets - based on costs of fuel, importing food, the risk of the supply chain collapsing or moving to another country, and so on? There are many possibilities and a large number of variables, but the most important is to find out how close to the margins of impossibility any business plan might approach. Surely at some point, let's say between $50 and $500 per barrel of oil, it no longer makes any sense to simultaneously export and import food high in embodied energy. But we simply lack the user-friendly models and metrics that decision-makers need to calculate such figures and project them into the future. So private standards are fine; but there should be public standards too, or at least a set of criteria based on the most fundamental laws of physics and biology, before significant public funds are spent. Do you agree with Peter Baker? Does our current system of food production and distribution make sense? What are the factors preventing reform? Should the price of food products reflect the energy involved in making them? His arguments are totally cogent and I agree with them. However, there is this old saw - Give a man a fish and you will feed him for a day. Teach a man to fish and he will sit on the river bank and drink beer all day !! Want to eat local? Come to Texas: I picked fresh oranges off the tree in my front yard on Christmas day! Not only did I get fresh fruit: I got it while dressed in shorts and sandals on a 70-degree day in the middle of "winter"! Thanks Peter, your article makes sense thermodynamically. I think, the supply chain inefficiencies are due to external factors such as consumption-driven economic development, international politics, etc. No matter what, we will always be more efficient by reducing the disctance between the point of production and the point of consumption. Accordingly, if we eat the corn directly without feeding it to cattle and then eating them, we will be more environmentally-friendly and sustainable. No one ever thinks of the real cost of bringing bananas to northern countries. Agribusiness is in the business of making money and the food they produce is a byline. They have to satisfy their shareholders. Consumers are secondary. What happens to countries where monoculture has replaced native food production. This is the price for cheap food we get in North America. The cost to others is immeasurable. Wow, this really has us all thinking. Thanks every one. I rent 4 garden plots at under 100 a year. I can walk to them but prefer to drive as I am 73 and retired. In one area I have 8 trees (2 pear, 4 peach, 1 nectarine and 1 apricot). In the other areas I have tomatoes, beets, beans, garlic, peas, flowers, cucumbers, pumpkin, radishes, onions, raspberries, potatoes and sometimes other things. As it is a Mediterranian climate I can grow something all year long and do. I eat as much of it as I can and share some with family and fellow gardners as do they giving me eggplant and zucchini etc from their plots. I put in a few hours a week, try not to over water and freeze much of it for later use. It is a lot of work but it is a healthy enjoyable pastime also. The flowers, which I do not eat but enjoy, probably give me so much joy that I stay healthy enough to continue gardening for the food products. The grubbing around in the dirt in the cool hours of dawn and sunset are part of the joy of gardening. I use worm droppings for fertilizer and the tools are provided by my garden club, keeping to a minimum my costs (my ammenities fees monthly pay for them mostly). The only problems are cute little bunnies, various bugs and human thieves, as well as a few sore muscles when I over do it. I wish more people would do this, but they won't. Last year my friend picked 1,500 tomatoes from his patch and donated some to others and to the local Orange County Outreach (they maintain a food bank for those down on their luck temporarily). Some older people have been found dead in their gardens with a smile on their face as they were doing what they most enjoyed well into their 90's. I see myself in this article and sense that there needs to be a change in our general outlook on life before much of it goes through any changes. The golf players nearby are having fun in their own way. To each his own, live and let live is great, but when it comes right down to it, destroying the world to have quick big bucks will destroy me too and I do not like that at all. Soon our plots will be taken away and cost effective money making residences will replace them. The food, the joy, the exercise, the health and the happiness will not matter in the equation. Values differ. Housing and money in the bank usually wins out and the power seekers are strong enough to win most of the time. Is it a problem that the tomato that I just enjoyed took a lot of energy to produce? Will it stop me having another delicious tomato tomorrow? Not until the price changes to reflect the energy expended? What proportion of the price is energy-related? Probably the square-root of not a lot. Most of the other costs are reduced by mass-production which implies specialisation which drives the existence of global cash crops. The underlying cause that is driving this energy inefficient model is the labour-cost difference between the first world and the third world. The solution would be either to abandon the minimum wage in the first world or implement it in the third world. How do you do the later? Implement it through the leading Bourses. You cannot raise capital on NYSE, LSE, NASDAQ, .. etc unless you abide by ethical standards. i.e. pay>US$1/hour Capitalism works really well so let's just make it ethical. Water too must be taken into account. Acquifers are being pumped dry around the world. We are exporting virtual water, as well as energy, with the production of food. In the final analysis, I think it all boils to this: We have become greedy & stupid. Greedy people get greedy government and polices. A century back, our society was largely "needs based". It was carefully manipulated to become a "desires based" society. Anyone who has seen "A Century of Self" documentary made by BBC's Adam Curtis would agree. "It's not just the calories"
People need vitamins, minerals, fiber, you name it too. However, it may take 18 kilos of grain for a kilo of beef, or 8 kilos of grain for a kilo of pork, or 4 kilos of grain for a kilo of turkey, ... why don't we just eat the grain. Problem with that is people evolved 5 million years as hunter gatherers: vegetables, roots, fruits, nuts, lean game when they could catch it. Result: we don't make Vitamin C or folate, that's from the veggies, we need B vitamins from the game. Looking at the dentition they didn't grind grain with their teeth - grain came up very recently, 10,000 years ago or so, along with diabetes, obesity, and overpopulation.....oh, by the way, no dairy either. "Biological systems know all about thermodynamics." Obviously the biological system that wrote this article didn't! As the cheap energy runs out, people here will go from being able to afford mangoes shipped from thousands of miles away to being unable to afford a turnip grown just up the road. Dr Baker is absolutely right about the urgent need to start thinking about food in terms of energy returned on energy invested (EROEI). In fact, we need to start thinking about *everything* in those terms while there is still time to develop alternatives to a system where everything relies on fossil energy. Very few people understand how close we are to a terminal decline in global oil output (which will hasten the depletion of gas, which is the primary substitute). As fossil energy diminishes - almost certainly faster than renewables can be ramped up - it won't be just those who are currently poor who face starvation or death. In a truly "free market" economy, the thesis makes no sense. Energy is part of the cost of production; therefore, energy expended in fertilizer production, transport, packaging, display, preservation, advertisement, etc. all go into the cost of the food produced. If locally produced goods are produced using less energy and hence at lower cost inputs, then they will compete and WIN, discouraging wasteful production. The problem is that we are not in a truly free market economy; it is distorted by such things as subsidies, protectionist policies, and food "aid". CARE is perhaps right to reject imported wheat from the USA, but only if it has an alternative solution. In fact, it makes more sense to subsidise African production for African food aid, as that is more efficient. But there's a catch: you can't wait a growing season or more (after all it takes time to ramp these things up) to deliver food aid; the need is immediate and critical. But it does make the case for long-term investment in local production to head off famine more efficiently. Regrettably, with both US and European agricultural production distorted by subsidies and supported by powerful agricultural lobbies, all the while wasting taxpayer money, intelligent policy will take back seat to politicians' need to get elected and re-elected. In sum: truly free markets would account for and regulate the energy that goes into production, but they do not exist--and will not exist until we develop the political will to make it so. The article definitely provides a large amount of food for thought, although I don't understand the point on some of its arguments. Having lived in the U.S for many years, it was always a surprise to see Bananas from Costa Rica being sold for 30 cents a pound, or California grown Lettuce or Strawberries going for so cheap in Michigan. Having moved a lot, I used the Banana cartons occasionally as they are quite sturdy, and were in my opinion as valuable as the Bananas they contained. In the case of Californian products, obviously having access to cheap foreign labor was a key factor there. I don't agree with completely going local either. Having some local products is fine, but you can't force it. Wouldn't it be boring to only consume local? What's wrong with having a Banana here in the UK? At the end of the article Dr. Baker poses questions to be answered before public funds are being spent on agriculture. I believe this is exactly the root source of all the problems he talks about earlier. If there were no public funds being spent on agricultural products, and there were no government intervention in the economy, then every country and every region would adjust to what they can produce best, and the disorder Dr. Baker is trying to talk about would give its place to order and sustainable production. Thermodynamic Energy and Entropy (which Baker confuses in the article) are not the same as Power and Money. For example, in physics Energy is conserved. In economics Power is generated and spent. Power has an average cost, and a marginal cost"
"what am I missing here? Being a Physics graduate student, I don't understand how you can create more output energy than the input energy." These are two absolutely fundamental points -which seriously question the very nature of economic thinking. "Energy" and "Money" are two completely different (unrelated) concepts. They appear to be linked via the "energy market" -but this is an arbitrary relationship becuase the values of the currencies involved have no objective value. If calculations are made on the basis of "energy use" (joules, calories, etc) the outcomes are presumably constant for all identical calculataons because the variables remain unchanged -while any calculations based on the "monetory value" (dollar,euro, etc.) of energy will vary (minute to minute) with the market price. So underlying the problem is the conceptual relationship between "economics" (which might basically be concerned with the outcome of wealth, or energy, flows) and "accounting" (which is basically concened with the nature and relationships of the varianbles within the various equations used to calculate the outcomes). Presumably, it is bad "accounting" that causes us to believe in "cheap" food -when the real (social-economic) costs are extremely high (probably, for all of us). However, this still leaves us with the problem of what exactly "economics" deals with: Most economists seem to believe that economics is concerned with the generation of "wealth" -but cannot really define what exactly "wealth is (except in subjective terms based on the concept of "money", which has an arbitrary value). So how does"wealth" relate to "energy"? If wealth is directly related to energy then presumably it connot be increased or reduced but only conserved. Then economies can only distribute and not create wealth -unless the laws on thermodynamics are themselves not properly understood, or have limited application. However, if "wealth" is a purely monetory concept -then because money (after being removed from the gold standard) has no real value outside the currency market, "wealth" is surely an illusion kept only alive by the currency traders. Somebody once told me that in Communist Europe, the problem was not a lack of money -but a lack of goods to buy. This is surely the bottom line: Ultimately, one cannot eat money: One always has to exchange the money (if one has it) for the essential products one needs to survive -which also have to be available. Bizarrely, it is the unavailability of these products that increases the price and decreases the value of the money that might have been used to buy the products -had they been more available. So the best way to become rich for essentail commodity holders is not to produce more -but to reduce the supply well below levels of demand. This increases "wealth" for a few-but drives the rest into poverty. So perhaps the real problem is that postmoderist socio-economic theories have persuaded us that conceptual money is the same as physical goods. As a result, the (post)modern Marie Antoinettes all cry "Let them eat Simulacra!". So no wonder we are all dying of intellectual and physical malnutrition. It is complicated by all these subsidies, direct and indirect (transportation infrastructure) and the most complex subsidy, Mother Earth. Without these, we would get a better idea of the true cost of foods. The local apples will look a much better deal than those Florida oranges. But we see what happens at the WTO when we confront big business (aka government) with removing these subsidies. First I want to say good morning and I say that because it is and it's essential to this discussion. Too often people lose hope. Too often people think how increasing entropy in a closed system is upon us and it can't be overcome. It's counterproductive and just not true to think this and I want to thank the author for not taking a defeatist attitude. Seeing things like that almost makes it so. If I remember correctly the second principle of thermodynamics only holds in a closed a system but I submit there is a powerful new force that keeps it from truly being a closed system. The collective voice of millions of people and their ability to communicate in ways not even imaginable not long ago. As long as that remains open there is hope. Modern communications and the increasing willingness of people to work together to solve things brings a huge new force to bear. By taking stock of what's happening to the planet and ourselves as well we essentially give voice on this planet to all the living things that together try to hold back physical principles long enough for life to continue let alone advance. The increasingly complex matrix of life on this planet that has stood so valiantly all this while against what is now called the second principle of thermodynamics now has voice. The power of communications in getting people to work together is huge. As long as people have a shared willingness to ask for help when they need it even from wisdom of other generations and nature itself and don't go off half cocked on a road to war there is hope to find answers to the pressing issues that are truly upon us. So on this day, a day when Russia says it's going to stop fighting and games are going on in Asia, those things that have protected the common good for so many ages stand a good chance of being protected and surviving. As far as food is concerned I'd say people need nutrition to be able to think straight and the value of getting what's needed where it's needed can't be measured in calories. Some of this article makes sense. It would be great to produce locally and suply locally. A leading country in this area is Cuba. Having had to put up with an embargo for so long they've had to become more or less self sufficient. As a result everyone's turned to producing food on large and small scales, in urban as well as rural areas. But we have to be realistic, we can't be 100% self sufficient but we can at least try to reduce the amount of food imported. It is probably much wiser to stick to discussions centred on the application of the First Law of TD, although it must be said that is precisely here that economic gurus seem to falter, so its clearly a challenge. Going deeper too soon, carries the risk, apparent in financial circles at the moment, of using higher layers of elucidation as a smoke screen to hide the almost obvious. There are simply too many people chasing too few resources - this looks set spiral in line with global population. In 50 years we will all starve so lets not get carried away with using science and aid to artificially enhance the problem at the expense of all our childrens future. Population control is the key to sustainability. There is a solution to this complexity: a carbon or energy tax collected at point of first use. Then the economic systems we have developed will work to help us to a solution. Instead of having to worry about whether that paper bag or coffee is higher or lower CO2 than the alternative, the price will tell us. The accountants will help us "go green". The challenge is how to get it to happen. In an ideal world, it would be a uniform global tax. But we don't live there. So the practical route is for Europe to impose the tax - and CO2 based tariff barriers*. Otherwise, we'll just send the manufactuing to China, along with the CO2 production. Big problem for politicians is that such a tax has a disproportionate impact on the disposable income of the poor. But that's reasonably simple to fix - raise the income tax thresholds so that more poor folk are low tax, cut VAT a bit and increase basic state pension & unemployment benefit a bit and it would be fair. *If we offered to "match EU tax" on anyone who was to CO2 audit their imports to the EU or came from a country with a similar CO2 tax, this could be WTO compliant as it aims to create a level playing field rather than "favour the locals"
"Surely at some point, let's say between $50 and $500 per barrel of oil, it no longer makes any sense to simultaneously export and import food high in embodied energy. But we simply lack the user-friendly models and metrics that decision-makers need to calculate such figures and project them into the future." No we don't: it's called money. When transport costs get too high, there will be financial incentive to produce more locally - as Dr Baker has just said himself! If you want policy, you can preemptively incentivise local consumption by imposing huge import tariffs. I expect developing world farmers would react very positively to that. At the end of the day the rich are getting richer, our caviar costs more, but then we can afford it as we drive to the supermarket in our nifty biofueled energy efficient vehicle, to restock our highly disposable 5 star fridge. The issue is treated with an open mind, using questions rather than definite statements. The approach to the problem is scientific. Under present economic "laws" such issues cannot be solved and the market only works short term. The second law is usually ignored by economists. Georgescu Roegen is not very popular with the Chicago Boys. Let hope more people start thinking like Dr. Baker We have not much time left to propose a systemic economic model adapted to our small planet. Reality doesn't give rewards or punishments, only consequences. Peter Baker makes a number of interesting points. He suggests that producing food for consumption locally will reduce energy wastage by cutting the use of oil, etc for transport. This seems eminently reasonable. One might add that local production might be better targeted to local needs and thus less food wastage from damage and rotting. He also recognises that the agribusiness operates in a very complex environment that is poorly understood and that different groups of people within that environment have many different, often conflicting, interests. However, his suggestion that we should measure the effectiveness of the food chain by the foods energy content as a proportion of the energy needed to produce and deliver it to the consumer is very questionable. Who drinks coffee for its calorific content? Surely it is for the flavour and its stimulant effect. And likewise tomatoes which also provide essential vitamins, minerals, etc. Equally Peter Baker's invocation of the laws of thermodynamics appears misplaced. Yes of course it applies; they cannot be avoided. Without energy input everything will degenerate into chaos. But there is an input from the sun which can 'sustain' something we might regard as 'order' on earth. It begs two questions: What order do we want? And, how should we maintain it? History suggests that civilisations rise and fall. Small local groups of people develop modes of survival for a time, then fade away. Darwin's law of survival of the fittest applies to groups of people too though the issue is complicated by the interaction and competition between such groups. Local production for local consumption might contribute to survival and reduce energy consumption in the world. It might contribute to reducing greenhouse gasses and consequent global warming. But in a world populated by competing politicians, economists, large business organisations and a discourse set on globalisation it is not going to happen. This article promised to be good. I stopped reading when I got to "the Universe is inexorably heading to increased randomness and disorder". Only one question Dr Baker - how could you ever know? A very confused article. There may be an interesting argument in there somewhere, although not one I fully agree with. Of course firms take energy and transport costs into account. If, in a free market, production and trade occur it means there are private, and usually social gains to be had. As pointed out, this may not be the case if governments heavily distort markets, by subsidizing fuel for example - and I do not advocate such a policy. But removing trade barriers is not an example of distorting market forces, just of allowing them to operate fully. And investment in roads and infrastructure is inadequate in almost all developing countries, anything that improves this situation will be a positive step. It is likely that traditionally energy scarce societies will have developed more energy efficient agricultural sectors, as the example of Tanzanian cassava would seem to suggest. This makes the potential gains from trade, as measured by the author's criteria, even greater. The author's main point seems to be that economic rationale does not take proper account of the longer term picture particularly regarding the use of energy, and that governments and donors need to intervene to correct this. Why free markets are efficient in the short run but flawed in long run is not explored. More importantly, the cost of energy is just one of many constraints that farmers and food exporters operate under, and not the single most important - at the optimum this constraint is not necessarily binding. Even if it were possible, forcing private agents to minimize energy use for a given level of output will not necessarily lead to the socially optimum outcome. Of course governments should intervene where markets fail. One failure of the free market is that it does not take into account the social costs of fossil fuels - such as pollution and global warming. This means these sources of energy should be taxed. If the tax is set at the right level, private firms should be allowed to maximise their profits - what private firms do best - in this higher energy cost environment. Over much of the last two centuries western entrepreneurs have been operating in an energy abundant environment. This era may come to an end eventually, and the energy constraint begin to bind although this looks to be some way off - there is still plenty of oil left. Around 200 years ago the basis of economic activity began to shift from solar, water and wind energy to fossil fuels. We may be in the early stages of a similar paradigm shift today. Science has already found the solution to a potential economic problem. The similarly slow take up of coal powered steam engines two centuries ago and nuclear power today is striking. the market works because it all will seek the lowest input costs and sell at the highest possible market price. by factoring in calories/ energy expenditure amounts, will only lead to more government 'for the good of the people' interference of the natural flow of the market. Does anyone remember the food control place upon Britain in ww2 until the fifties. or the soviet and chinese versions of socialism inspired food control. It was a disaster and led to less food produced the market wanted and more of what the state wanted. The subsidy to support unwise operations and dreams, etc. trust me the if some sort of control issue forth to do the green work of the lord (so to speak), government and it power hungry minions will usurp it for their own and never willing give it back. A good example is the Canadian Wheat Board or the Dairy council in Eastern Canada, where once setup not even the elected government of the day with the mandate from the people, can change their mandate or close them down . The special interest groups see to that it not only protected, but expanded and further enriched. I could on and point US subsidies to it's own farmers, etc. The road to hell is paved with GOOD intentions! And is a good intention we should ran away from. No, I don't support the above ivory tower call to arms to save the world from ourselves. A good is only worth what two people agree to exchange it at each based on each own needs and wants. Lastly, after working in Africa, grain is seen as luxury good with good status images attached to it for the local. Cassava is the have not and lower status local. White crusty french loaves are for the elite. So change the image of better for the world products and you will solve more problems than you will create with 'calories ratio controls' and other government acts. But then that is - using the biology analogy - usually the way; once you have figured out what is going on; even the most complex issue is elegantly simply. I entirely agree with Peter Bakers request that we "think locally" - that is after all where "we" are; we have never been this far away from the stuff we need to survive; besides our food, our medicine, our knowledge, even our values often come from "miles away"
Having our stuff presently so far away; over the sea, over the internet; miles away over the Telivision - it makes us extremely vulnerable - we no longer know how stuff works, and if the technology in between runs out of fuel; we are stuffed - that is why we are in a very vulnerable time; we have never been this far away from the basics of survival at any time in our human past. Be aware of that vulnerablity. We have forgotten how ecosystems work; we live in a semi-detached in a city - but we still go off and smash up an ecosystem 9,000 miles away - because we export our "forgotton the knowledge" behaviour round the globe. The problems are elegantly simple; I can explain it all in 5 seconds with a bar graph of kiddies shoes through the ages; I can explain it all with an abandoned car, over grown with a huge bramble bush at the end of a garden. The problem is elegantly simple; it's "us"
We have had 300 brief - very brief years of running amok; "more more more" - we've been drunk, had a wild night; bust a few things; now we have the hang over; the question is; are we going to learn our lesson and say "never again" or are we going to drink our selves to death. The problem - and the solution, if we want it; is elegantly simple; we need to think, and the first question is "what do we want the human race to be and do" . . . over to you 6 billion people. It doesn't make sense to me that England is exporting home grown sugar to other parts of the world and importing "fairtrade" sugar. Surely it would be better to use the local sugar beat grown in the fenlands of England rather than sugar cane from Malawi? There is definitely a good point in paying local growers to produce food for local markets. Taking produce the equivalent of three times round the country, or the world, is plain ridiculous & should be discouraged. Besides which, nothing can beat the flavour of home grown veg & fruit. It's the only way to grow runner beans. On a more serious note, it makes a lot of sense for countries in the Developing World to grow food for their own populations rather than for export & then have to import food Aid. As well as being better for the world in general. This article certainly goes beyond the food cost/mile or the pollution by export/mile. Is there any chance Peter Baker can have a little stay at UC Berkeley? give a little speech perhaps. The topic will certainly attract a large audience since Berkeley is a very "gree" and eco-conscious local. Cutting through the convoluted language the message seems to be this: if we allow energy prices to be forced sufficiently high the world food supply system will fail and we will have to go back to the local production like we had in the middle ages. Firstly I would question the envirosocialist assumption that this is a good thing. The last famine in England was in the late 1600s - personally I don't want to go back to a system where heavy rain one summer means I starve. Secondly I would question the assumption that energy costs must inevitably rise. If we are willing to challenge the envirosocialists then we are quite capable of developing new sources of oil, biofuels, hydrogen, nuclear power etc. etc. It is only the politics of people who WANT to take us back to the middle ages which is stopping this at the moment. An excellent article overall! Although I disagree with the analogy to the second law of thermodynamics, the article articulates well the inefficiencies of a colonial mindset to providing aid. I don't think we should be allowed to legally buy New Zealand lamb when we have British meat so readily available, and I don't think I've ever noticed a difference in taste. Same with buying water in bottles from France or Fiji - it doesn't make any sense to me. Sick of seing farmers/producers throwing away on motorways their products which don't sell, sick of seing the "Distribution" dictating its law to suppliers and killing small businesses hence decreasing the variety of products available, sick to see non reusable seeds on the market, sick to see that the need for humanitarian aid has become permanent in some countries and is overall growing constantly, sick to see the appropriate responses are not there... Yes to an increased awareness of actual cost and actual value of nutritional resources, and YES to clean and ethical trade, including to more control or constraints if necessary... Relate this to the increasing cost of food basket for vegetarian families (french survey), to the energy invested in biofuels, in surplus meat production. Nothing much will happen unless there are will and means to regulate the food chain across nations. How much can this be isolated from developmental issues in emerging countries (or should we sa! y sinking ? )Unfortunately the power of lobbies is unbalanced, but I hope a "clean/green" thinking will be empowered. I heartily disagree. You cannot compare apples to oranges or a t-shirt for that matter. If one was to buy into this argument, then any NON food item produced in the world that is not designed to produce at least some kind/amount of energy, is a complete waste of the energy used to produce it. Give me a break! I suppose he would have us all starve since eating grass would be a no no probably since one can imagine the waste of all that sun that grew the grass.Get real! The value of this article is hugely reduced by Dr Baker's reference to the 2nd Law of Thermodynamics. Far too many people think they understand what "disorder" in the thermodynamics sense means. Please rewrite after doing some research and proper thinking. As long as we want to eat out of season foods and those not available locally (indigenous) we will continue to eat irrationally. The "salary - calorie" link should not be dismissed either. Eating "richer" doesn't always mean eating better. In the major food exporting countries, the entire process is heavily subsidized throughout the entire process, whether it is agricultural subsidies or tax loopholes for the oil companies. When Burger King charges one dollar for a double cheeseburger, the real price is much, much higher. When huge subsidies are given to agri-business, that cost is hidden. You have already paid for the thing before you even see it, via taxes which are diverted for subsidies. Another tragedy is how food aid is apportioned to the starving nations. American aid policy works like this: Say 100 million dollars in aid is granted to Somalia. We don't just hand over the cash, we deposit it in an American bank, and we require the aid recipients to spend the money here in the US. What this really is is another subsidy for American farmers. Instead of taking that money and spreading it around where it will do the most good, building infrastructure and creating wealth, it simply goes back to where it came from, the American taxpayer. So instead of actually helping Somalia, we are just making a few bucks off of them. A bushel of wheat produced locally benefits everyone involved, whereas a bushel of wheat transported 10,000 miles only has benefits for the sellers, and only drives up the price. Remember the story of a young African woman whose family was able to send her to an American university because a private aid group gave her family a goat. They were able to turn that goat into more goats, sell the milk, and as if by magic, a family business is born. That is how food aid should work. Unfortunately, this is a problem that can not be solved with the current system in place. To solve this problem would mean abolishing ALL agricultural and energy subsidies in the developed world. Here in the US, the multi-national food corporations and the oil companies have a stranglehold on the electoral process, through the corrupt campaign finance system. As recent history clearly shows. I work in an upscale grocery store that mouths hippie platitudes about sustainability, environmental concerns, workers rights, animal welfare, etc. One of our key corporate values claims to be "buy local". And yet we sell a huge number of products from overseas. The organic frozen spinach from China is a good example. How sustainable is that? Or eggs from New Zealand? I know we have chicken farms here in the US. My personal favorite item is the oranges from Australia. Don't we grow oranges in California? I wonder about the environmental cost of these things. I think more people would question the status quo if they were better informed and had a government that represents the people, and not just big business. It really makes no sense to carry food over long distances, when perfectly sound production opportunities exist at the destination. While food remains the most important basis for life, there is no need to consume South African grapes in the UK, Californian wine in Germany or Finnish strawberries in Singapore. 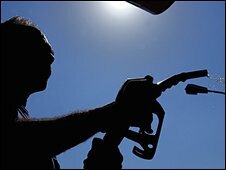 Higher energy prices increase costs for transport and fertilisers. This in turn promotes local agriculture and ecological farming. The benefits are not only in energy savings and local economics, but also in global security as supply dependencies are reduced. All of these metrics are based on oil prices and/or electricity production costs. Once more renewable energy sources are in the supply chain and new fuel cell technology in automotive vehicles is employed these figures look very different. Our dependence on harmful fossil fuels is still the root of these economic and agricultural problems. Our current system only makes sense in a world of cheap, readily accessible oil and for which both are becoming steadily less true as time goes on. Since oil has a high calorific value itself, it enables all these lengthy journeys for our foods. Without it, there exists no alternative save for sailing ships to transport across the globe. "But we simply lack the user-friendly models and metrics that decision-makers need to calculate such figures and project them into the future." Just introduce a complex currency. The real part is what you as "buyer" pay directly now. The imaginary part is the prediction by the "seller" of expected inflation/deflation. Products using many endangered natural resources (atoms) should be given a large negative imaginary value, products relying on intelligence (bits) should be given a large positive imaginary value. It should then be up to national and international political decision makers to define a current i-value of commodities like oil. I can recommend that Peter Baker continues to study the second law of thermodynamics, which is probably the least understood of all physics laws. It is the prime duty of the country to provide food , cloth and shelter to the people. As such, the price of food and cloth should match with the purchasing power of the people. Even if the cost of production and distribution of the food system is high, the government should bear the difference amount of the cost of the production and the price his people could afford. Only after that comes, cloth, and other necessities like transportation etc. I think it would be wiser to look at the whole picture, rather than study each product on its own (e.g. the example with the tomatoes) and make sure that the price/energy balance is there. It's probably right to make sure this balance is there for a country or region's OVERALL agrobusiness. Even the most successful enterprises often have 'loss-makers' in their product or service range. They are offset by the winners, but their contribution is to provide a comprehensive range, which is a selling point and will ultimately increase business and profitability. Most certainly a more realistic view of the relative prices of foodstuffs in terms of the cost of inputs per calorie produced should be considered by trade policy makers. Cheaper and cheaper coffee,tea,and cocoa for example are enjoyed in the developed world at the cost of local food production in the countries where they are grown.It is time to reconfigure global trade and a good starting point could be to stop trading food,i.e. corn,wheat,soy,etc. on the commodities exchange in Chicago. Bravo. Dr Baker cuts through a lot of the emotional pleading with his logical approach. Let us have free trade in food and stop the destructive forms of aid/subsidies/protection that distort markets and penalise efficient long term production. We produce food for reasons that have nothing to do with energy yet it would be sensible to allow prices in the markets to reflect energy values. The most energy efficient food products may not be the most popular taste varieties. Thank you for this vitally important message. For many decades, subsidised farmers in the developed world have undercut subsistence farmers in developing nations, putting them out of business and promoting food dependency. The true costs of energy are now emerging, and are forcing food exporting nations to adopt more realistic prices. Developing countries need to reinvigorate their agriculture quickly, or face deeper poverty and starvation. We are training our people to grow their own food (http://diepsloot.org), but it's a race against time. We need clear thinking on these issues, and your article is very insightful. In India in the name of Special Economic Zone, the Govt. and Multi National Companies are buying fertile agricultural lands and convert them into satellite towns, Industries and thus polluting as well as reducing the existing food production. Presently in India most of our farmers are under debt because using vigoursly genetically modified seeds in cotton, wheat, rice etc., which not only failed the farmers also turned their fertile land into den. Several years ago (on JuryFury) I published and article claiming that "energy" and not money should be the basis for economics. Also, for cultural reasons, we focus on a "dead" physics (with "animism" removed) -but "organic systems are anti-entropic. Inorganic systems decay but organic systems grow. So by thinking organically (and in terms of synegetic energy) we get an economy of pleanty insterad of the economy of scarscity used to bully us now. Part of the problem is EU & USA. The USA particularly, for political reasons has to subsidise and support farmers. This causes overproduction and to prevent the local markets from getting flooded by really cheap product, they send food aid to third world countries which further destroys the agriculture there. This has been well documented in Ethiopia. Another example was in the 70's India used to get wheat from the US in Aid. Indira Gandhi stopped the aid and a few years later the country was able to become self sufficient. It strikes me that this guy is writing for an audience of peers - peers with whom he was discussing the very same subject about half an hour ago! It would sit better in some obscure section of the Economist or Nature than behind a prominent link on the BBC website. Don't you have editors at the BBC anymore? He makes far too many assumptions about what the audience knows. I tried quite hard to follow him as it's a subject that I'm quite interested in. But do I agree with him? I wouldn't know! If you really want to engage people on this subject - try breaking it down into some mini articles. Put some pictures, diagrams, real life examples and supporting evidence. The problem is we don't hear these words from government, the very place we should be hearing this from and lots more like it on every topic. Peter for PM! Do you agree with Peter Baker? Does our current system of food production and distribution make sense? Not a lot. Being from an island, thousands of miles away from the Mainland US, we witness the pressure and impact of gasoline driven delivery firsthand. What are the factors preventing reform? Simple. It's not time for most of us to plant a garden. Although expensive, store bought produce/goods is very attractive to most of us because of our conditioning to it. However, when the time is right and food is scarce or much more highly priced, more gardens and growing facilities will flourish locally. However, Should the price of food products reflect the energy involved in making them? Absolutely. We run a small food business and understand what this question means in depth. Most raw materials must be flown n from an average of 6000 miles away. (PA to HI). Why not grow our own Garbanzo beans? Why not grow our own sesame seeds and grind to a butter? these are great questions to be answered by someone who can fulfill the farmers end. A tedious piece of gobbledegook. What is Dr Baker getting at?. Should now be the time that Big Brother starts handing out the Soylent Green, perhaps padded out with Cassava flour?. It was a good example of why the science has trouble getting through. It was virtually unreadable. Rambling , all over the place. Be concise, get to the point. hi, actually i agree with the writer's perspectives,on the other hand i also think that it's understandable that the current system of producing and distributing food produce does incur a lot of energy wastage;since in the process of food production, food producers only consider the cost that actually involves in production and neglect the external cost and energy wastage that generated to the environment, for example air pollution,etc during the production process.and it is hard to ask them for compensation as there's no way to force them to internalise such external cost. in the sense of external cost, i think it will be much fairer to reflect the actual cost and energy of food produce in it's price tag since in this way excess production could be prevented and the issue of further energy wastage in food production could be dampened. I agree. Here in Canada we buy fish caught in Canadian waters but processed in plants in China and then retailed back in Canada. This makes even less sense than importing most of our fruit and vegetables from far flung countries. Thousands are unemployed in Atlantic Canada and receiving benefits and retraining while the fish companies receive direct and indirect subsidies as a result. Can we trust the safety of processing in China where all corners are cut to save pennies? Our family has stopped buying products like these which are over-processed anyway. But with other products such as fresh food how can we save money when costs are rising substantially due to transportation costs and increased shareholder payouts or competition from megastores like Walmart which competes with "unfair" practices like using the same size box as other stores but not filling it as much and hiding the content sizes? Living in a city isolated from main centres and farms and in a country with a long cold winter makes it very difficult to grow our own food. If we followed the 100 mile diet about 80% of our food would disappear. Our produced in Canada energy is higher priced than in the US. Our best food is exported to Asia and Europe while we pay higher prices for subgrades. Basically, we are still a colony of the former (and still) colonial powers. It is very hard to know what to do. I am not up on the physics and biology of food growth and its energy expenditure. I think giving food or selling food to other countries on a non ending basis for the last 30 years is pointless. Continue feeding the people for now but give them the tools and equipment they need. teach them to farm and help them feed themselves. Give them the tools and teach them to build dwellings that will continue to stand. Give them the tools to build the fresh water wells and show them how to use them. Help them to stand as human beings and to stop forcing them to beg for food to just stay alive another day. It makes little sense to carry food and drink products halfway round the world in all directions - such as oranges from Florida, apples from California, bananas from the Caribbean, kiwi fruit and tea from China, wine from South Africa, lamb from New Zealand, beef and coffee from Brazil. The list is enormous. We live in a global market but it is global madness to spend billions of dollars on moving food and drink round the world, increasing green house gases, so that people can eat seasonal fruits out of season, drink Californian wine with their turkey at Christmas, and have a fruit salad containing fruits from 9 or 10 countries below the equator, while fields are left fallow in the EU to support farmers to grow weeds. So what will impede reform? GREED. STUPIDITY. VESTED INTERESTS. The latest mind numbing crass stupidity encouraged sanctioned and subsidised by various governments is biofuels, replacing food crops to grow crops to fill gas tanks, so the rich countries can drive 4x4's while the children of the poor die of starvation. Brilliant, really brilliant joined-up thinking. The simple stark reality is that there are too many people on this planet consuming depleting resources, even the UK it guilty having a population twice its realistic self-sustaining level. There are limits to growth - and we are reaching them quicker than ever. I agree in principle with Peter Baker's final comments, but the example that he uses, of the efficiency of Tanzanian production of cassava, is not appropriate, IMHO. It is a little too sensational to be helpful. There are other comments I could make about that example, but suffice to say that his case is not helped by such examples. Better by far, I believe, to provide references to fully documented cases and to let the interested readers further their own knowledge separately. I agree that shipping food all over the globe is unsustainable and invites disaster during the next world oil shock. Heavy government subsidies to farmers in the USA and the EU have caused the current situation where their farmers are sending their cheap produce all over the world, undercutting African and Asian farmers. Japan also heavily subsidizes its farmers, but more to keep them alive (Japan's domestic food production is only 40% of food consumption). Buying locally produced food must become a priority. Hokkaido is one of Japan's most important agriculture areas, so this is not difficult for me. If cutting farm subsidies is political suicide, then at least use the subsidies to direct production toward biofuels. While the energy efficiency of biofuels is also hotly debated, at least Asian and African farmers will not be undercut and higher prices will encourage local food production. I think his considerations make a lot of sence. I hope his ideas get through to those who make decisions. If growth, production, and distribution were based on natural growths by season and location; then, we would decrease all of the combined costs associated with transport but we would not have the varieties currently in the food rich countries. When the cost of transport gets too high, food cannot come in from other areas. We need to feed the whole world. The costs of all economic activity, including agriculture have got to include the costs of externalities (the 'free' serevices provide by nature), ie the costs of countering (by sequestration or some other method) CO2 or cleaning polluted water supplies or protecting endangered marine environments from pollution and unsustainable fishing. A carbon tax is an essential first step with regard to CO2, as the market alone will react too slowly. Only when we price externalities into the costs of our consumption will the true market value be realised and the market will clear accordingly. What an eye opening article. I've always enjoyed local produce because of the freshness and better flavor. Seeing the bigger picture of food production answers several questions I've had through the years. For instance, why in a country as fertile as Kenya do they need food from relief programs? Thanks for the education. A movement toward local markets for most foods is the way toward basic sanity, globally. This would actually make it easier for a wider variety of foods to reach people in regions where abundance of food is short. wake - up people, the ( sub ) humans of monetary, materialistic and consumptive society have to release their IRON GRIP in the world, there is no second place for the truth, without it there is no JUSTICE and without JUSTICE, life is not LIFE, only this unbearable round of destruction and chaos all chosen by man as a result of his actions, yawn, yawn, your higher self awakens to destroy your lower selves of sin. I absolutely agree. It makes no sense for countries to export produce while they rely on food aid imports! Not only is this an environmental travesty, it also undermines local self-sufficiency and, obviously, long-term food security. Global security in all senses of the word depends on sustainable economic and environmental systems (which are in fact intimately intertwined). It is largely short-term political/economic gain by the few that skews our food sources--and markets--toward globalization. Especially as fossil fuels become scarcer and more expensive, we will all do better to appreciate and nurture the small producers nearby. Thank you for this interesting perspective on the subject. Of course, Peter is right but the solution may be more tricky than paying farmers of Kenya or any third world countries higher price. The farmers of U.S will be up in arms as their subsidized wheat and corn will find no ready customers! Instead Europe, U.S and FAO should train every year thousand farm scientists from third world countries in latest crop technology and the latest cost effective & relevant farming tools available world over. THE ENERGY YOU WATSED IN WRITTNG YOUR ARTICLE, THAT SPEAKS IN TERMS, WAY OVER EVERYBODY'S HEAD IS NOT WORTH THE ENERGY TO READ; HOWEVER; IF WRITTEN SO THAT PEOPLE COULD UNDERSTAND YOUR IDEAS; YOU MIGHT HAVE A POINT! This article is brilliant, and a way of looking at food imports and exports of which I would have never thought. It is a funny thought to import energy in the form of food, but it makes sense. Food is energy for people, yet we sit in the middle of an energy crisis. It is probably too simple to see food as equal to energy, but the thought has its merit. This is a bit daft really. The value of food, or other crops for that matter, is not solely the energy stored in it; the cost of it is not solely the energy input to produce it; and the energy eventually stored is not a factor solely of some abstract human-produced energy input which could be expended equally anywhere. Even then, the environmental cost of even the human-mediated part of the energy input (vs. solar energy input to crops, for example) depends very much on the circumstances and how the fuel or electricity is produced, so comparing energy input and content is likely to be at least as misleading as the 'food miles' concept. There may be something here to consider, but the necessary economic parameters are confusing. 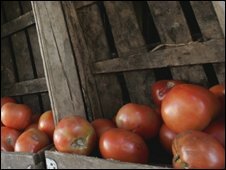 "As an example, tomato production in the US consumes four times as many calories as the calorific value of the tomatoes created.... Casava production in Tanzania...where 23 times the calorific value is gained for each calorie of human energy input" seems nearly 100 times as human energy efficient. But perhaps the total energy of tomato production is only 10% of the value of the commodity versus perhaps 50% of the value of the Cassava if grown with Western type agriculture, versus 1% if grown by a subsistence farmer in Africa. I can't do the math, but it may be that it still is better for each to import from afar. More examples are needed to understand the problem. Another factor may be the amount of water required. The irrigation in Africa may be far more (or less) available than in the west. Another factor may be fertilizer. And so on. I'd like to see something akin to paying for carbon pollution applied to agriculture. But we need to consider more than energy. We need also to consider other resources: land, water, sun, soil conservation, vitamin and mineral content of the product, tilling techniques (are bacteria and worms thriving, and do they help), and most likely many others that I am not aware of. Who has a handle on this whole picture? It seems that we subsidize, encourage, and hype the products that we make money on, to the detriment of thinking of the whole system's needs. It is an interesting concept and one we may have to do more to save energy. Since when was capitalism meant to make any sense? Our system is largely based on supply and demand, not prices fixed by government eggheads. Communism tried to manage and organise everything in the food chain based on various assumptions, and eventually they couldn't even feed their own people on anything better than canned spam, cabbages and turnips. Unable to even feed people properly, their system collapsed within a decade. Food price inflation, when it arrives, again, will force change, again, like the last time during the 1970s. Playing with the food supply chain, especially one that works, is playing a dangerous game. Every country on the planet is about ten bellyfulls of food away from a revolution. On being wasteful: Corporations inhale profits and exhale products at an ever accelerating pace. The sad thing about this is that we all jump on the Green bandwagon and say we want to do something about upward-leaping food prices, and all the CO2 being emitted into our nonrenewable atmosphere all the while driving in SUVs comparable in girth to the M1A2 Abrams, and throwing garbage out of our car windows on our way to work at Exxon Mobil's Corporate headquarters. As an American I genuinely hope to see the day when we stop acting like the arrogant kids on the block who think they own it and more like the fun yet responsible neighbors the next street over (in reference to our omnipresence in world affairs). The article possibly inadvertently exposes some of the complexities in the argument about the growing and transport of food. In talking about the calorific value of tomatoes for example, it possibly misses an important point that we do not eat tomatoes for calories. We eat them for a whole range of other constituents such as vitamins etc which have a much higher value to the consumer than the simple calories themselves. The fact that the calories consumed are higher than the calorific value of the output is therefore irrelevant. Unless we can put all the attributes of tomatoes on a common basis, just looking at one element runs the risk of distorting the assessment of alternatives. As an economist, I would suggest that the value that the consumer attaches to the tomato, which takes into account all these factors may be the most useful measure of its worth. However this is not to say that distortions in input prices should not be recognised, but we need to be careful ab! The cost of food already reflects the cost of growing it unless it is distorted by government subsidies. If I want fresh tomatos and I can afford them what do I care about the calorie value required to produce them? I'm eating them because they taste good. Mr. Baker's work is interesting but I hope it isn't used as an excuse to tack on more fees and tariffs in an attempt to "balance" the market for tomatos or coffee; consumers are quite capable of doing that on their own. Why is there no mention of the huge waste of energy that is raising cattle? Rainforests are being turned into grassland and pasture to raise cattle or grow corn and soybeans to feed them. Soil nutrients are being depleted due to the high demand for corn causing farmers to plant the same crop over and over again. Then it all needs to get hauled to feed a cow that will produce, as unhealthy, fatty meat, a tiny fraction of the energy that was required to make it. Stop raising livestock (cows, pigs, kangaroos even?). Start hunting MODERATELY if you really don't think you can give up your steak. Feed more people. Live longer. Feel better. Great article. Finally somebody who acknowledges the importance of the real Master of the Universe: the 2nd principle of thermodynamics. Everything ,from economics, to biology, to emotions, to obviously, information, should be read in this perspective. Central to any conversation about the efficient use of resources in agriculture needs to be the topic of livestock. Not only does it take a significant amount of food and water to 'fatten' an animal, but their output in terms of food energy is minimal by comparison. Additionally, the land used for livestock could easily be put to use in growing more food and they collectively pose a bigger threat in regards to global warming than transportation does. Its as well to invoke the 2nd law,however going a little further, individual corporations may be highly ordered and efficient,but the second law indicates this would create more disorder in the economic system as a whole. The cost of meat is a factor that needs to be discussed. Using 10 times the wheat, 40 times the water of a vegaterian diet is not sustainable nor efficient. Asking people to pay the real costs of meat without subsidy would be a real start. Along the same lines, I always wonder why politicians promote expensive mass transit for people to travel relatively long distances to works at low paying jobs, rather than promoting closer "work development" parks. Great writing - keep it up! Well, Cassava flour is lousy nutritionally. And why do you show a poor Black farmer as an example of saving energy? Why not show a middle class agribusiness farmer in Africa who is exporting fruit to Europe and enriching the entire region? You forgot to calculate the time and energy spent by consumers in your shopping calculation. 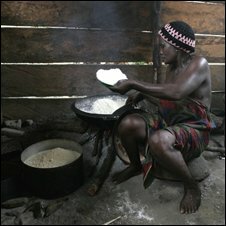 Living primitive sounds fine, but it translates to making women household drudges. I raise chickens and corn on Cebu Island, Philippines. I also have a trucking business that hauls chicken food and corn to and from the mills. What I wonder about is the efficiency of the traditional farming methods, with reasonable amounts of both chicken manure and commercial fertilizer, using either water buffalo or small tractors for plowing, compared to the gigantic farming implements and massive fertilization in the US. Yields are good here, and it seems far more energy efficient than in the US. It has to be, to keep food affordable. ". . .the margins of impossibility. . ."
I don't know what the point about tomato calorific values is supposed to show, when they are a product eaten more for their vitamin and other nutrient contents and valued most for their contribution to low calorie diets. If the argument is about hidden environmental costs and the distorting effects of subsidies and taxes then it could be made more clearly. For the cost of energy to reflect the environmental costs (according to some mathematical model agreed by all governments) then presumably this would mean all energy would have to be taxed at the same rates worldwide before any trading was allowed. Otherwise a horrendously complicated tariff system would need to be set up to bring the embodied energy costs of each product to comparable levels, to allow fair trade to occur. Is Dr Baker proposing we should have a worldwide planned economy? That hasn't proved particularly successful in the past. The subject of the world's human population is not being addressed adequately,relative to climate change. Nature in it's infinative wisdom controls numbers, of all life forms,( Other than human) by controlling the food supply. Yet huge efforts are put into increasing the food supply for humans to support an ever increasing human population. Not enough attention is being paid to solving the problem of our " Throw away society" and it's total impact on our environment. And what about the capitalist/profit motive, system itself? Without which little or nothing can be achieved.It's the antithisis of conservation and consumption control.We have to find another way of making things happen. While this is certainly on the right track I think we should all know that counting calories is not the full story. There are many other factors to be considered. Some are the relative nutritional quality of foods and the overall health and environmental consequences of their production, storage, and distribution. I suggest everyone read the FAO report Livestock's Long Shadow for a broader perspective on the cosequences of livestock production in particular. You should be able to easily find the report online. I think he's on to something. It explains why agri-business developed so many energy inefficiencies and paradoxes. Just understanding that it's been skewed by the availibility of essentially free (or cheap) energy is interesting. I'd like to here more about his metrics and his thoughts about where to go from here. I used to work in the fruit-n-veg section of a big supermarket; in the warehouse there was a poster that read "For every calorie of fruit we sell, it takes 100 calories of jet fuel to bring it to the store" the upshot being, don't drop the fruit. This is probably far more shocking these days than it was when the poster was printed a few years ago - but Peter's point stands. Melons in December are not natural, nor a smart way to apportion limited energy resources. But I disagree with his tomato point : All large-scale food production costs more calories than you get by eating them. He could have pointed to beef, which has a ratio of more than 10:1 because you need several kilos of grass/corn to get a pound of meat. Casava may yield more than it consumes (ratio 1 : 23) but the fact that Kenya needs food support demonstrates how unreliable a source this is. The reality is that the price of food already reflects the value of the energy contained - and energy is cheap. When something is cheap, we waste it - as it goes up, we'll be more careful. The road to hell is paved with good intentions. I can't find a more apt metaphor for this article. Has the author given thought to the possibility that the reason the locals export cassava flour and import wheat flour is because of preferences? Consumer tastes and preferences inform their spending choices, consumption choices, which in turn inform the demand and supply in local markets which determines the levels of imports, if any. One thing to be granted is that local markets are definitely distorted by subsidy aids to poor countries (It is economically more sound to give cash-vouchers for food) and to simultaneously subsidize farming in places like Japan, the EU and the US where crop production is generally more expensive than third world countries. But apart from this, the existing systems and supply chains in the world reflect the direction of trade. If the cost of energy in transportation is increasing, then supply chains will take note of it and less will be demanded on the other side to compensate for more expensive transport. The agricultural economy is well suited to handle increases in costs and changes in demand. It is only undermined by government intervention in fixing floor prices and establishing trade controls. I don't understand how evolution can be compatible with those same laws of thermodynamics which state that the universe heads towards disorder, and not order (our planet and our bodies). Yes, it seems short termism has to be reformed from both ends of the political & financial (including the WB,IMF & other dev Banks)systems & the food supply chains. But this needs an abundance of good will, and a long term vision based on sustainability principles not the next 3 or 4 election term. the paradox of countries once self sufficient in local, diverse, resient food sources now due to WB prompting and bribery (inter-generational Debt actually) these nations are now tettering on social & political collapse due to reliance on imported food staples..ie the Philippines now has displaced a self suffiency in rice with an export crop, cotton, which is crippling farmers,due production costs equalling international prices. It is best for health to consume foodstuffs grown locally anyway. Statistics show national health is degrading fast because of processed foods and imported foods, both of which are the result of the communications/transportations technologies, both of which consume a large percentage of the aggregate energy output of this planet. It's an extremely powerful wheel in fast motion that will require some powerful force(s) to redirect. Perhaps bumper stickers on cars would help make a start. Would have liked to see a mention of the costs of producing meat products as well as vegetables, since the 'hidden' costs are so much greater. Whether we agree with Peter Baker would seem to be largely irrelevant, since bandying opinions back and forth and trying to substantiate them irrationally would probably require the consumption of ego-driven energy - of a relatively high calorific value - rather than critical thinking - with arguably a lower calorific value. Who is to say which opinion (his or ours) has the highest calorific value? Is not the giving of our opinions merely playing a zero-sum game, where the BBC is the winner, having tricked us into expending some portion of our cognitive surplus in recording our opinions? In the end, is it not just a load of hot air? Iain Barraclough, Auckland, New Zealand. Food could be marked with some kind of "efficiency factor": a number which informs the buyer of the ratio of total calories used in producing and supplying a given product to how many it contains. In this way the public could make informed choices when shopping. Why is it these environmentalists think of the worst possible metrics to gauge "fairness" and "compensation" by? More pollution credits for having *larger populations* (Kyoto Protocol)? So we encourage countries to have larger populations for more credits, irrespective of whether the citizens derive any "benefits" of that pollution? Now some scheme to reward exporters of foods with the highest caloric values? Shall we simply ship refined sugar as "food" across the planet now? Even better, how about pure oils and fat? This almost makes the worst fast-foods the most attractive export for country. Chris C, Salt Lake City, UT, USA. I broadly agree with Dr Baker - as soon as I saw his reference to the 2nd Law of Thermodynamics I thought "Here's a Peak-Oil aware commentator". The groundwork laid by Howard Odum through eMergy (embodied energy) metrics is already there; but it will be distorted so long as we use a fiat currency approach to measuring value. While our economic system can create "value" out of thin air, our chances of applying an energy accounting across the economic realm are low. I have been trying to find public domain materials related to the attempts by the Allende regime to establish a fusion between market demand and state supply through an early computer network. I am sure the now-delayed TEQs have been designed with such an aim in mind. It's axiomatic, common sense; things are as they are; but greed and ignorance create consensus illusions; only the blind and the deaf are not aware of the destruction of a planet. Comparing calories expended to calories produced is silly. Energy sources are not fungible (you can't eat petroleum), and different types of energy vary in price. Thus the cost of the energy inputs for that tomato may be offset by the price of the tomato, if tomato-calories are priced higher than fertilizer-calories. There need be no trick or subsidy to make that true: we just value tomatoes higher than we value the equivalent caloric amount of manure. Climate change is coming - which is precisely why we need agribusiness in Africa. Subsistence farming, always a crapshoot, is becoming ever more tenuous as drought cycles worsen. The subsistence farmer doesn't have the resources to handle risk without starving, the capital to extract more food from his land, or the expertise to respond nimbly to environmental change. Big agribusiness companies - much as we hate them - prosper because they can do those things efficiently. And let's stop romanticizing it: given the choice, subsistence farmers the world over eagerly switch to cash crops or move to cities for work. That's because money in the pocket is a much surer safeguard against famine than grain in the barn: money doesn't rot or flood or wither away; money lets you buy food from wherever it's cheapest. One of two things will happen with climate change: either we all die, in which case our policy choices now hardly matter; or we don't all die, but some parts of the world become much nicer to live in than other parts of the world. Assuming the latter (since there's no point in planning for the former), we need to make it easier for people who get stuck in the bad parts to move to, and support themselves in, the good parts. That means more infrastructure, more urbanization, more and better markets where we can all exchange money for food. This is one of the most intelligent opinion about energy consumption since "Without the hot air". Thank you for publishing this astounding piece of good sense instead of letting it rot in a drawer for a few years. I agree with Peter Baker, but something that we no longer discuss is the carrying capacity of the land. I believe that we feel that it is no longer PC to talk about zero population growth, or being able to feed your children with local crops. Mr. Baker didn't spell out where he was going with this concept, but I'm guessing the USA would be affected in a negative way, cause we be 'da bad guy. Yes I wholly agree with Peter Baker. Knowing the true cost and energy that went into our food should be displayed for people to know how much corn goes into a hamburger, as well as all the antibiotics that are fed to the cows. Peter Baker must be joking... academics and bureaucrats to decide on the 'most efficient' distribution patterns? It's been shown many times where that leads... to famine. Read history. 'The Market' is not perfect, but it is many times better than any other method of allocating engery and effort, and producing food. Dr Baker's article is very much commendable and indicates how intricated food as a commodity remains. As the auther has tried to highlight, agricultural hence food production systems vary a great deal with in and with out geographic as well as cultural entieties. That makes it difficult to creat a universal model to fit one and all. However from the global food production point of view one could hypothesise that each production system is a sub-set of the union sharing some if not all the phenomena that interact to the food-commodity value. The value attributed to food and its sustainability issues so far tend to rely on the interest and the field of concerned individuals, organisations and/or country policies. Lack of comprehensive approach to analise food production systems is one of the major drowbacks in devising meaningful long term solutions to the problems. A multidesiplinary approach to understand what the problem is and equally importantly genuine and open minde! dness to appreciation and intiate participation of the indeginous knowledge base might be helpful. Mega-programmes designed top-down for poverty reduction by increasing food production are usually very expensive both financially and environmentally with near to insignificant returns as was attests with the green revolution in many developing countries. Most of all we need many more Bakers who I beleieve transcend the tradition of most senior academics' who provide us with prescriptive remedies. Perhaps the international politics, overt and covert policies that affect shifting of any sort of commodity in the world maket does not make the issue as simple and straight forward as it should have been. Well done Dr Baker I hope your contribution to environmental litracy would be appreciated by many. "the calorific value of US wheat is only twice the amount of calories expended to produce it"
what am I missing here? Being a Physics graduate student, I don't understand how you can create more output energy than the input energy. the other statement "As an example, tomato production in the US consumes four times as many calories as the calorific value of the tomatoes created. " is valid at least from the point of view of Physics. It seems to me that the use of Physics is only a distraction from the real subject of the article. I speak as a professional environmental scientist, and previous author of a Green Room article. This artlcle is incredibly boring, disorganised, badly written, and unclear in its message. Assuming it is saying the energy balance of food is wrong, that's an okay point, but it's not actually very relevant: we cannot eat oil, or sunlight, or any other form of energy. Can you offer a clearer definition of what you are aiming for? By your argument, you seem to be suggesting that massive farms, 'efficient' by an 'energetic' (pretentious concept) yardstick are the answer? If this is the environmental message - vague, pro-agribusiness, mealy-mouthed - we're in trouble. You would do better to use common sense than bad Physics analogies. Physics makes a bad analogy for Economics. Thermodynamic Energy and Entropy (which Baker confuses in the article) are not the same as Power and Money. For example, in physics Energy is conserved. In economics Power is generated and spent. Power has an average cost, and a marginal cost. Some forms of power are cheaper, some are ephemeral, most are non-transportable, etc. Also, beware of unnamed "studies" claiming to measure the "energy" in crops. Are they counting the sunlight used by the plants? Should they? Are they counting the "energy" in the fertilizer? Is the producer using compost or guano or Ammonium Nitrate? Did they count transport costs as energy? How do they know that? So tomatoes use 4x the energy as their calories, eh? So what? I can't eat "enery". How does that 4x value compare to cheese or beef? Who is being quoted? Without anything to compare it to, and not knowing how they arrived at it, that number is useless and misleading. Economics is more complex than Physics. Because of its simplicity, physicists can create equations and measurements of great accuracy. Economists cannot borrow the esteem and accuracy of Physics to justify any conclusions of Economics. The image of aid trucks passing export trucks is brilliant. Any animal that expends more energy to get its food than it receives will inevitably die. What humans have to their advantage is cheap oil. We eat it, wear it, live in it and ride it. The days of cheap energy are dwindling, and we will be pushed back into Thermodynamic realities. We may as well be prepared. This is an incredibly well-written and researched article. I commend Dr. Baker. How succinctly stated and eloquently phrased. Bravo Dr, Baker - I just hope there are some people in positions of power (especially in the developing countries) following your arguments? after i read this i feel i have made a lot of mistakes.i feel that what peter baker said was right. The argument, as I am reading it, makes sense. It just sounds silly, to be sending food to a country that is exporting food out of it. The Green Revolution has forced countries into a system that does not make any sense. Feeding one's country a variety of goods will save on energy costs, rather than producing one crop, which is then exported, and the money used to purchase food from another country. The system is flawed, and something needs to be done to fix it.